If you live a lifestyle that requires you to travel or commute daily, a stylish and functional daypack is the best investment you can make. It doesn’t have to cost an arm and a leg: there are many high-quality daypacks out there that do the job well and look good at the same time. The designs of daypacks run the gamut: there are sling bags, tote bags, backpacks, and many more. However, if convenience and practicality are your priorities, you can’t go wrong with a backpack. A backpack of the appropriate size can make daily commuting a breeze; it keeps your hands free while carrying your belongings safely. If you choose a backpack that’s got a timeless design, it can serve as a multipurpose backpack that can be used for school, work, travel, and even a daytrip outdoors without looking out of place. The Herschel Heritage Backpack dominates the world of stylish yet functional daypacks. It’s ideal for individuals who pack light more often than not. 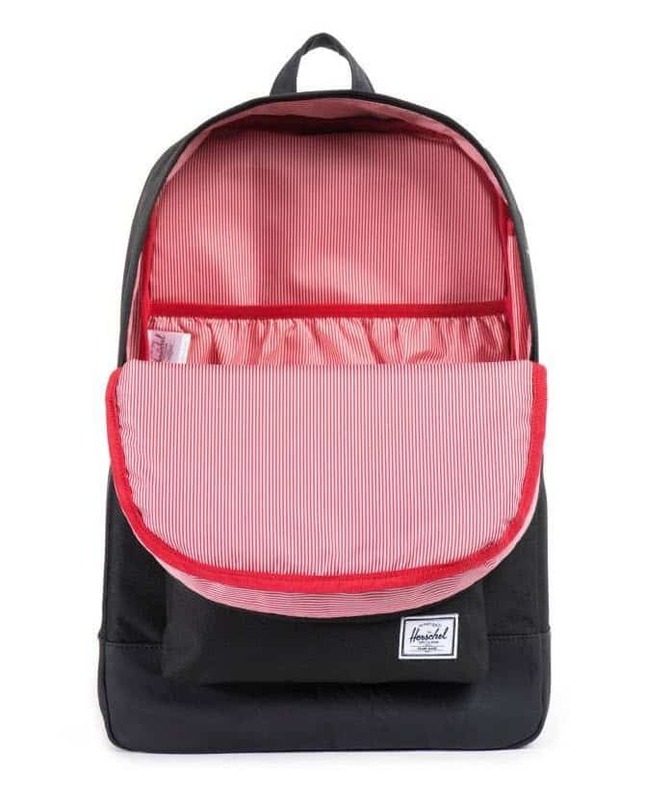 Whether you’re a teenager who needs a bag for basic school belongings or a professional requiring a backpack to carry a laptop, sweater, and snacks to and from work, you can’t go wrong with the classic design of this bag. If you’re traveling somewhere, this makes the perfect daypack for your day’s essentials. Its internal sleeve can fit up to 15-inch laptops, and it also has an internal media pocket equipped with a headphone port. Pack your smaller necessities in the single front pocket, which comes with a key clip. Herschel is a fairly young Canadian company founded by two brothers, Lyndon and Jamie Cormack. The brand launched in 2009, and in no time their designs became ubiquitous in school campuses as well as on the streets. They specialize in designing bags that have a modern and nostalgic touch, which is clearly well-received considering they now have presence in 72 countries. It never hurts to invest in a backpack from such a reputable brand; it gives you peace of mind knowing that world-class craftsmanship and attention to detail went into making each and every Herschel bag. Let’s talk about design: The Herschel Heritage Backpack has a laid-back and casual vibe to it that high school and university students love. However, adults can take this bag to work without compromising professionalism. Few other backpacks have successfully achieved that iconic, universally-appealing look as well as Herschel has. Plus, it comes in a wide array of colors that can suit your personal preferences. It’s such a great unisex daypack! This lightweight backpack weighs just 0.65 kg, too! If you look at its front pocket, you’ll notice that it has a flap concealing its zipper. That makes opening it with one hand difficult, but this is actually a great security feature because it can alert you if someone is trying to open your front pocket in a crowded subway. 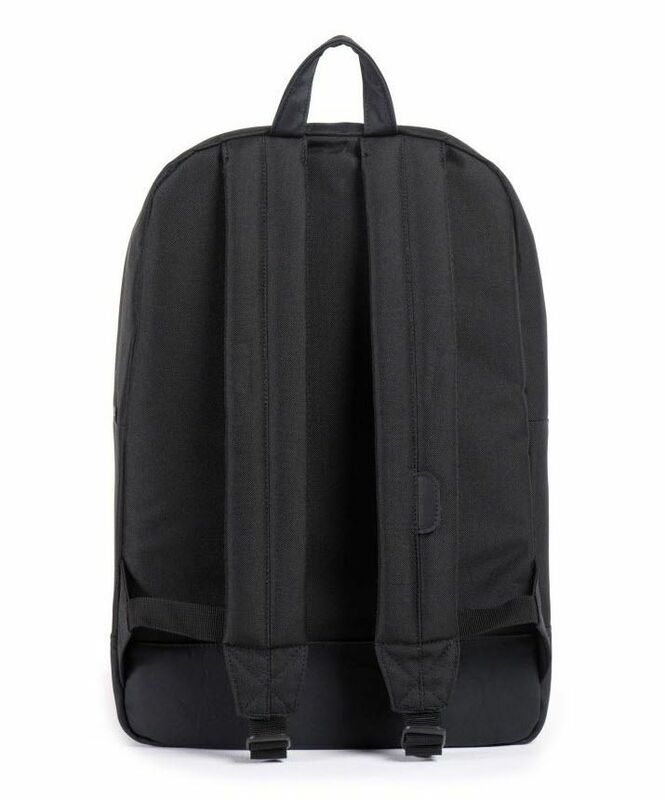 The Herschel Heritage Backpack has a capacity of up to 21.5 liters, ideal for light everyday use. You’ll probably be surprised at the number of uses you can come up with if you have a backpack as versatile as this one. It can also be used as a carry-on, too. Its straps are ultra comfortable thanks to its ventilated mesh cushioned lining which makes it feel good to wear this backpack even if you’ve packed all 21.5 liters into it. An elasticized document compartment inside the main compartment helps you stay organized. The faux leather on the top handle makes carrying it with your hands easy. It also has a faux leather bottom, which helps a great deal in minimizing dirt and stains on the bag. 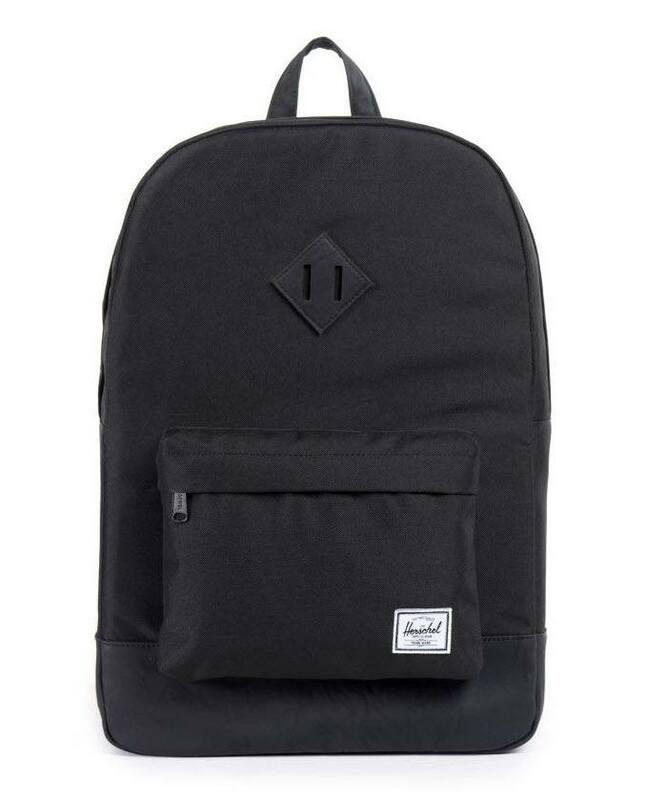 The Herschel Heritage Backpack is a must-have for everyone with an on-the-go lifestyle. It’s no surprise that the Herschel Heritage Backpack has a cult following all around the world. The bag’s design and practical features simply resonates with so many customers of all ages. It has all the right features for the ideal daypack, none of the silly extras, and it’s affordable too. Based on customer reviews, you can’t go wrong with the Herschel Heritage Backpack. Customers appreciate the high quality and workmanship found throughout the bag’s design. Many use it on a daily basis for commuting, school, and work and it has the right storage for these purposes. Customers also appreciate the sturdy material which ensures it stands up to daily use without breakage, since other similar backpacks on the market are made with flimsy material that easily tears. Several people have also appreciated how this bag has lasted them years. Many reviews have commented about how the backpack is so comfortable to wear. Some customers were slightly disappointed with the lack of organizational features and pouches that other bags have. But Herschel was clear about this from the beginning, and customers can easily pack their own pouches within the bag. Overall, based on reviews, the Herschel Heritage Backpack can do no wrong. It can be used by all ages and all purposes, it’s a classic multifunctional and versatile bag for everyday use. Get your own Herschel Heritage Backpack and find out why it’s such a popular backpack worldwide. Regional online retailers offer this bag, so there’s no need to travel to Canada. We suggest checking out Lazada Singapore since they have many great deals on daypacks including the Herschel Heritage Backpack. The Herschel Heritage Backpack has a cult following, and it isn’t hard to see why. When you make such a useful and functional bag, in a design that appeals to all genders and backgrounds, you’ve got a winner. Its price points are just as lovable, too. There’s no reason to think twice about this bag: the Herschel Heritage Backpack is one that everyone needs to own.